Sparkle Me Pink: Potty Training UPDATE !! As I have mentioned in previous blog posts, potty training my daughter has not been and easy feat. Actually up until about a month ago I felt like it was impossible. That she would ever be potty trained. It was at this time I decided to switch her over to training pants full time, as a last effort for success and I am so glad I did! It has just been night and day !! This past week alone has yielded further progress in that she has only been wearing her training pants when she is going to bed or going to be in the car for a long drive where she may fall asleep. We are still having some troubles with 'wetting the bed' in the middle of the night but she is doing SO well during the day that I don't mind putting the training pants on her just at night as a comfort and confidence booster for her. 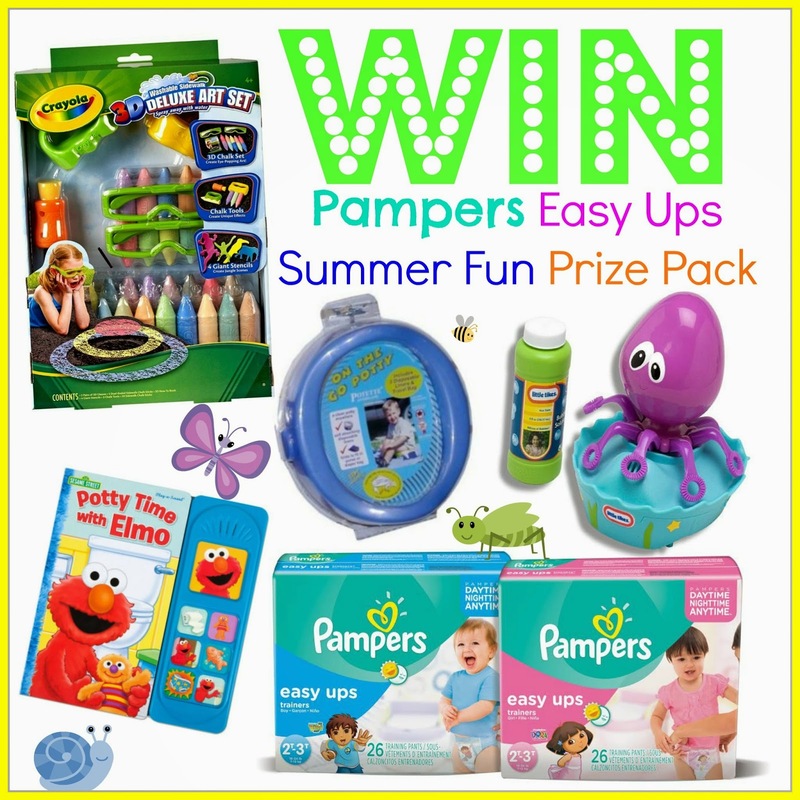 As for our favorite brand of choice, we have really been loving Pampers Easy Ups. We have tried our fair share of other training pants but have not been impressed with their quality. Especially the bargain ones. Even if she didn't have an accident, the bargain ones would get all pillie and used looking after just a few hours of wear. We have even tried another popular brand name selection but hated them. The first time she had a piddle accident in them they gave her a terrible rash !! Thus we have stuck with Pampers Easy Ups and haven't had any troubles with them. No leaks. No rashes. And they even have a cute girly prints on them, which of course she adores. The funny thing is I used to be totally against the idea of potty training pants. When my son was potty training we didn't use any sort of training pants with him. Not even at night. Then again I am also just now realizing how super ultra lucky we were with him !!! Anyways, it wasn't until we started having troubles potty training my daughter that I truly understood this product and believed that training pants can and do actually help with this process. Now for the fun part ! The GIVEAWAY !! ·Fun items to kick off Summer for your child! ALL entries are optional , however the more you complete the more chances you have at winning. Winner MUST reply within 24 hours to claim their prize or another winner will be chosen !! Sparkle Me Pink is not responsible for prize fulfillment. If you have any questions please reference my disclosure policy page or email me. (sparklemepink88@gmail.com) This giveaway is not sponsored by, endorsed by, associated with, or affiliated with Facebook, Twitter, YouTube or Pinterest in any way. Each kiddo is going to be different and you can't rush things like this. The easiest way I found to help me potty train my son was to use an egg timer method and start a close intervals like every 20min and make it a game to run potty when the timer goes off and work your way up to an hour or hour and a half between potty breaks. Good luck and remember to just be patient! I think generally if it's tough to potty train they aren't ready. I must've started then stopped with my son 10 times. When he was ready, it was SO easy! When he wasn't, it was an exercise in total frustration for us both. Such great advice thank you ladies !! Your kids will tell you when they are ready - they will know - and so will you! Stress in potty training only makes it more difficult! If potty training doesn't seem to be going well sometimes it is best to step back and wait a little longer. Your child just May not be ready yet. My advice is to always try and stay positive. You want potty training to be a positive experience for your child. Also, have a great reward system set in place that really interests and motivates your child. Never give up! Your child will be ready when they are. Don't feel pressure! have patience. I find a reward system works well. Our son is going to be 2 1/2 at the end of this month. He has communication/speech delays and I am afraid of scaring/frustrating him away from potty training. Anyway you guys can think about making this transition easier on all of us would appreciated. My daughter potty trained pretty easily (hopefully my other daughter will as well), my best advice would be not to give up and to try and maintain as much patience as possible! Stick to it even if it is inconvenient for your schedule! We have not potty trained my son yet so I am eager to hear advice from other parents. I have a question that is a little specific - should I teach my son to pee sitting down first? Don't rush it, wait until they are ready or it might not go well. Must. Have. Patience! Don't get frustrated or mad in front of your child as it's discouraging to them. Stay positive and make it fun! Buy stickers or cheap toys/snacks. Every time my daughter made it, she got a treat. I am at the point where I neeeeeed my son to want it! I know I cannot push too hard, but he's 3 1/2 and he definitely knows how to use the potty. He just needs the RIGHT incentive I suppose!! I enjoy the advice comments here, thank you everyone. Any other advice on incentives???? Throw cheerios in the potty to help little boys learn how to aim. Always be consistent and give tons of praise! Stickers make great rewards for successful potty breaks! I will try to attend the twitter party, I have had a hard time trying to figure out how to attend. That's a cool prize pack! I am so glad we are beyond potty training. Listen to your kid when she has to go "poo poo" or you might end up with a surprise in the bathtub. :) Oh yeah, it happened. Use thick underwear(I think Gerber makes them sold at Walmart) and put a pair of plastic/rubber covers(also sold at walmart might be made by Gerber as well) over them to help catch some of the accidents. Diapers and pull ups do not work very well for potty training as they wick away the moisture so they are not uncomfortable when wet. However wet underwear is very uncomfortable! I can train a class room of toddlers 3 times as fast with this method as the diaper pull up method. Pull ups or Easy ups are great for nap time and bed time. The other big suggestion is wait until your child is ready otherwise you will go crazy! If they are telling you that their diaper is wet or waking up dry from naps or overnight then that is usually a great indicator they are ready. Remember each child is different so don't judge "progress" against someone else's kid. Go at your own pace. We haven't quite started potty training, so I've been reading up on advice from all over. One really great piece of advice seems to be that all kids are different and move at their own pace, so you have to be patient and not have expectations. Alona Y. My three children were all different when it came to potty training. One thing I do know is try not to show your frustration to the child if it is not going as planned. Sometimes you need to back off and wait for awhile longer then retry again. I think one good thing to do is to get everything you need to start in advance, so there's no last minute purchases. My advice would be to wait, wait wait. Then when you think you're ready, wait a bit longer. I didn't rush any of my kids, and they didn't have many accidents when we actually started. I use a sticker chart as a reward system. Having a lot of patience with your child and letting them choose their own reward! Thanks for the opportunity! i am in the middle of potty training for the third time!!! my advice is to put them in underwear because they don't like sitting in their own pee and poo, or just stick them on the potty after every drink!!!! my niece is almost 3 and she is extremely scared of the potty, what can we do to help her not b? 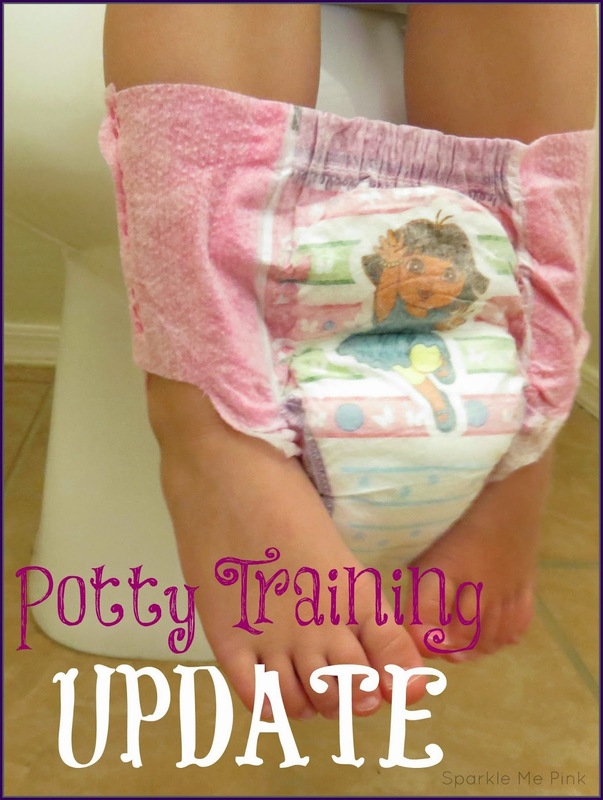 how to potty train when the child is severely constipated so is afraid to potty now? reward with treats for every potty success! Be consistent! Make sure they know that you were disappointed when they aren't try or putting any effort into the training and that this is what BIG boys do. But be just as consistent about making a big deal when they do go on the potty - maybe even offering a treat. Just to have patience, all kids are ready at different times. My son potty trained early, i'm now working on potty training my 2 1/2 year old daughter, she hasn't been as easy but we're getting there! I found using a sticker chart worked well with the kids they love it. When you are starting out put the potty chair where the child can get to it quickly and easily. This is usually not the bathroom. When you first start out put the potty chair somewhere the children can get to quickly and easily. In my house this was the living room. It helps them to get to the potty with fewer accidents, and as they get use to it you move it to the bathroom. What is the best reward system to use? Another piece of advice is to get a potty seat that fits on top of the actual toilet seat. It will make the child feel more secure and like they won't fall into the hole! Patience is key. Do not hold your child to the standards of others his or her age. You child is unique (as you know) and they will train on their own terms & time. If you are training a little boy what helped our son was a bobber. Yeah a fishing bobber that cost .50 cents. Toss it into the toilet , it will not flush down, it gives the little fellow something bright to aim at. Works on Dads too ! lol! My advice is to just wait until your child is actually ready. If you push a child before s/he is ready, you will fail! It goes a lot smoother if you wait for the signs! Thanks for the opportunity to win. What age was your boy when you started potty training? I started my son at 15 months because he was showing the signs of being ready. He did amazing until his baby sister was born, then I think out of jealousy he stopped wanting to. Be patient!. I am helping potty train my 3 year old grandson and he is much harder than my 3 daughters were!